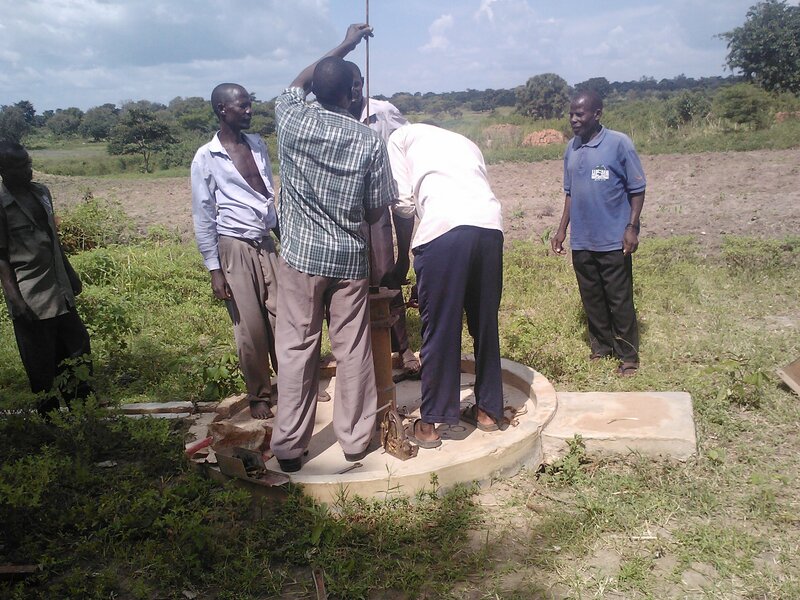 CO2balance are pleased to announce that our first two borehole VPAs in Kaliro District, Uganda, have been issued under the Gold Standard. For the past two years, we have worked closely with local NGO WAACHA and district water mechanics to rehabilitate broken down boreholes and implement a long term maintenance programme that ensures the provision of clean water to communities for at least 7 years. An important part of the programme is community sensitization and engagement, which involves training the borehole caretakers and water resource committees on the key aspects of borehole maintenance and hygiene. We recognise that creating a sense of ownership among the community members is a crucial element to the success of the projects. Through its innovative global micro Programme of Activities (mPoA), CO2balance are developing projects in some of the most remote and poverty-stricken areas in the world, which have yet to gain access to the benefits of carbon finance. Since 2013, we have listed over 40 new micro-scale VPAs under the Gold Standard Foundation, the majority of which are safe water projects that focus on the rehabilitation and maintenance of boreholes. In developing countries, off grid water points such as boreholes still play an essential role in supplying rural areas with safe water and although millions of dollars are spent each year by governments and NGOs alike on new infrastructure, one of the key problems that remains is the absence of functional maintenance systems for existing water points. In some countries such as Malawi and Uganda up to 30% of the boreholes are broken down at any given time, highlighting an urgent need for pragmatic solutions to water supply management in developing countries. 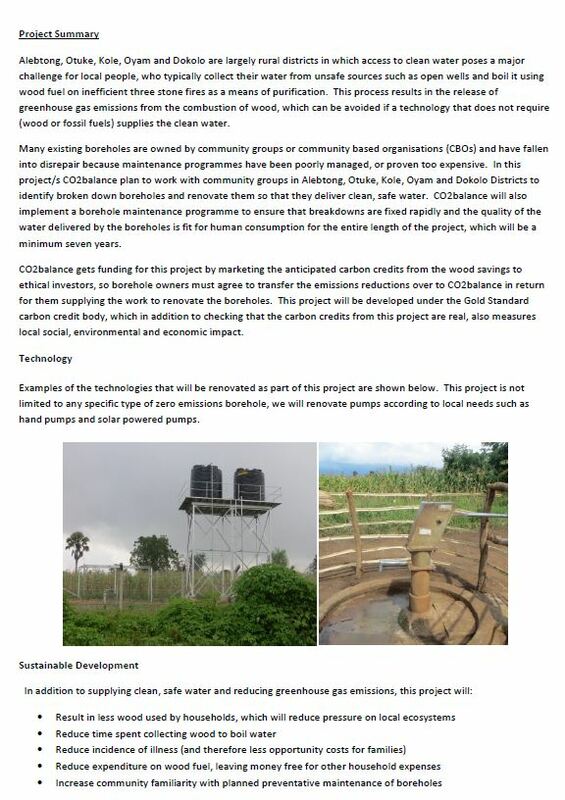 The borehole rehabilitation projects run by CO2balance together with its local NGO partners seek to tackle this problem by leveraging carbon finance to fund the long-term upkeep of boreholes. Furthermore, we work closely with the communities on sensitisation and general borehole management which is a crucial element to the success of the projects. 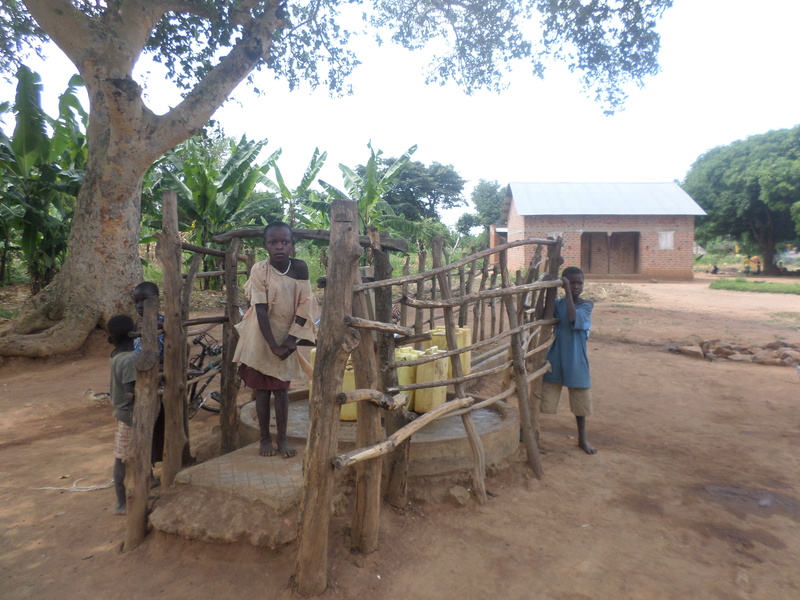 CO2balance are proud to announce the registration of a fifth Gold Standard borehole project in Uganda –Kaliro Safe Water Project GS3443-adding to the company’s rapidly growing portfolio of micro scale projects in the country. Since 2013 CO2balance have repaired over 50 boreholes in 5 districts which supply clean water to more than 30,000 people. This marks a major achievement especially taking into account the challenging and remote locations we operate in. Stay tuned for further updates as we continue to develop our projects in Uganda.